Being an NBA fan in a small or mid-market has its challenges. In the past three years, we have seen LeBron James, Dwight Howard, Chris Paul and Carmelo Anthony leave their franchises in less-than-stellar markets for those with warm weather, bright lights or no income tax. The NBA is a star-driven league and the best teams tend to have the big-name players. Teams that do not have the better players tend to be bad. This is not a by-product of teams intentionally losing in an attempt to land the star player. This is as simple as bad teams will lose more games than their rivals that are good. It is also as simple as bad teams typically being those without the players of high-quality. I wish more people would understand this simple concept. It does not sit well with me that the network that is responsible for reporting the news also plays a major role in creating it. It is unsettling that ESPN's Truehoop Network is devoting most of their material to changing the NBA draft lottery. Their main writer, Henry Abbott is quite outspoken in his disdain over the lottery. He believes that it rewards losing. Abbott also believes that it doesn't bode well for the culture of the NBA when teams like the Bobcats are mocked for signing Al Jefferson and "being too good" to secure a top 5 pick in the upcoming draft. Henry Abbott is an intelligent writer who is smart enough to understand the nuances of the NBA. He should know better than to claim that teams are intentionally trying to lose. He should also know better than to claim that huge changes need to be made in order to stop this problem. The fact of the matter is that we don't actually know that teams are trying to lose. Let's take a look at the 2010-2011 Cavs. They had a roster full of veterans who were making a lot of money and not winning games. Mo Williams and Jamario Moon were not going to be part of the team's core moving forward. They were brought in to Cleveland to play on a different team who was operating under much different circumstances. They traded for Baron Davis and an unprotected first round draft pick. It was assumed that Baron Davis would eventually be cut under the forthcoming amnesty provision. In other words, the Cavs traded two veterans who were making a lot of money for a first round pick. If the Henry Abbotts of the world had their way, this would not have happened. The Cavs would have doubled-down on their roster full of overpriced veterans and won 29 games instead of 19. 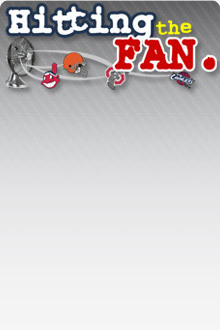 How is this beneficial for Cleveland fans? I have argued many times in the past that the lottery system is about as perfect as one can get. Every other "solution" to this non-problem seems quite drastic. In this week alone, Truehoop has suggested that the teams buy draft picks with credits. They have also suggested that the NBA scrap the draft completely and let players sign with whichever team they want as free agents. There have been ideas in the past where teams are ranked based on how many games they win in comparison to their preseason Las Vegas odds. And then there's the infamous "Entertaining as Hell Tournament," which Bill Simmons seems to think is a good idea despite the fact that it treats the 8th seed as a highly-coveted place to be. All of these solutions have far more broad unintended consequences than the current lottery and we still haven't concluded that tanking actually exists. I still maintain that the current system is about as perfect as we will ever have. The incentive to lose games is weak enough that teams should beware before going all-in on the tank. Hypothetically, let's say that the Cavs get off to an 0-15 start next year. The defense, offense, rebounding, chemistry and health of the team is a disaster. Chris Grant decides that he's seen enough and trades all of the good players on the team for future draft picks. The team finishes with a 9-72 record and secures the highest odds at winning the Andrew Wiggins sweepstakes. Doing so should come with a giant caveat because they will have limped their way into a scenario where they are 75% likely to not win the lottery. All of the news isn't bad, however. They will be guaranteed to not pick lower than 4th overall. In other words, the incentive to lose is not gigantic and they will also be able to draft one of the 4 best players available in June. Call me crazy, but that sounds like a pretty solid system. It is one that doesn't encourage losing and that simultaneously protects bad teams from not being able to get out of the gutter. I suspect that a lot of this anti-tanking talk comes from a place that nobody wants to talk about. While they say the reason is to improve the league and the competitive spirit of the NBA, the real issue is that they likely do not like seeing players like Kyrie Irving, Anthony Davis and Andrew Wiggins in small markets. It isn't enough that most of these guys will eventually leave for teams with "smart front offices," they want to expedite the process. I have yet to hear a single ESPN personality criticize the Miami Heat for wasting multiple years of Dwyane Wade's prime by hoarding cap space in the hope of signing two other maximum salary players. Can anybody in good conscience say that the Heat were doing everything they could to win games between 2008 and 2010? They were tanking for draft picks and free agents and did so at the expense of Dwyane Wade's prime. They did the right thing because it has led to three straight Finals appearances and two champsionships. There have been some examples of tanking that nobody wants to talk about. 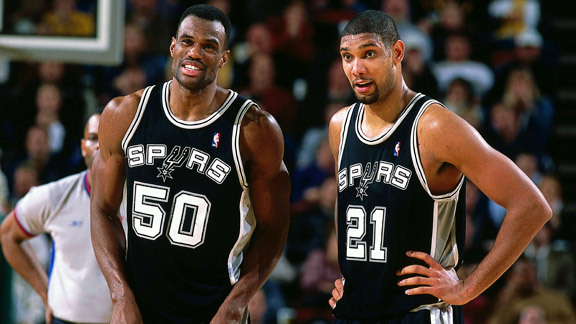 The two biggest that come to mind in the modern era are the Heat leading up to the Big-Three era and the Spurs before they secured Tim Duncan. Because those have historically been good teams, they are not discussed as teams that have tanked. I suspect that the issue that a lot of people have is simply that they do not like bad teams. It is more politically correct to be anti-tanking than it is to have a major media personality say that they do not like the Sacramento Kings and that they do not deserve good players. We must not look back very far to show evidence that the lottery works. It takes a bit of luck and to be positioned properly to win the top pick. In 2011, the Los Angeles Clippers won the lottery with the 8th best odds. The Cavs, who only won 19 games, had the 2nd best odds at picking first overall and ended up with the fourth pick. You'd be hard-pressed to find a person in Cleveland who isn't happy with Tristan Thompson, but there's a big difference between Thompson and Kyrie Irving. If the Cavs deliberately lost all of those games and did not make the Baron Davis trade, they'd be looking at a drastically different roster right now.